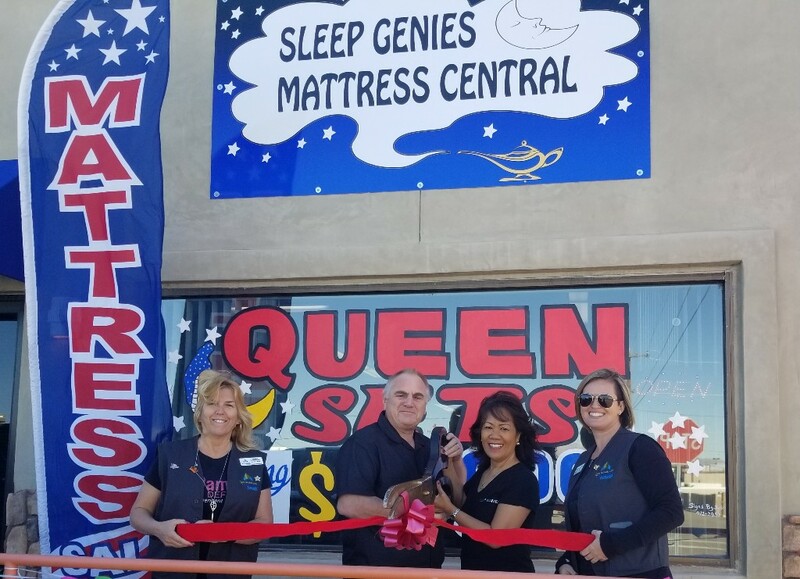 The Lake Havasu Area Chamber Ambassadors held a ribbon cutting ceremony for Sleep Genies Mattress Central to celebrate its Grand Opening. 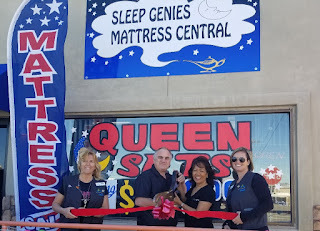 All Sleep Genies mattresses proudly 100% in the USA. Queen sets starting at $199. Family owned & operated; Grandpa, Grandma, & Grandson. Convenient location. Great prices. Pillows, Frames & Mattress Protectors available. Attending the ceremony from left to right were Janina Robertson, Kevan Goodrich, Ceta Goodrich, and Ashley Bartosiewicz.